My mother has always told me not to let my basil flower. She says it will lose all it's flavour. I tend to believe her when she gives me gardening advice because a) she's my mum and b) things actually grow in her garden. 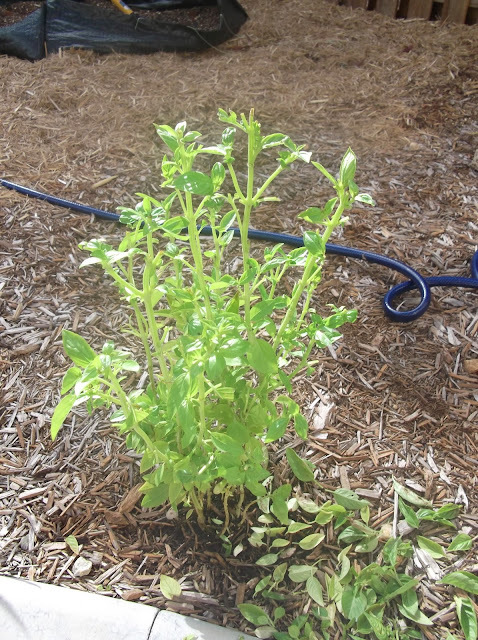 My little basil plant is somewhat of a miracle plant. It's been in my garden about 6 months now. It didn't have the best start to life. I bought it from the supermarket, left it inside for about a week and then when it was just about dead I thought I had better plant it. So I dug a shallow hole (in my 10cm of top soil) and stuck it in. It didn't really do anything for the longest time, but all of a sudden it took off and actually grew into a healthy plant. For about a month now it has been trying to flower and I have been dutifully picking off the tips. 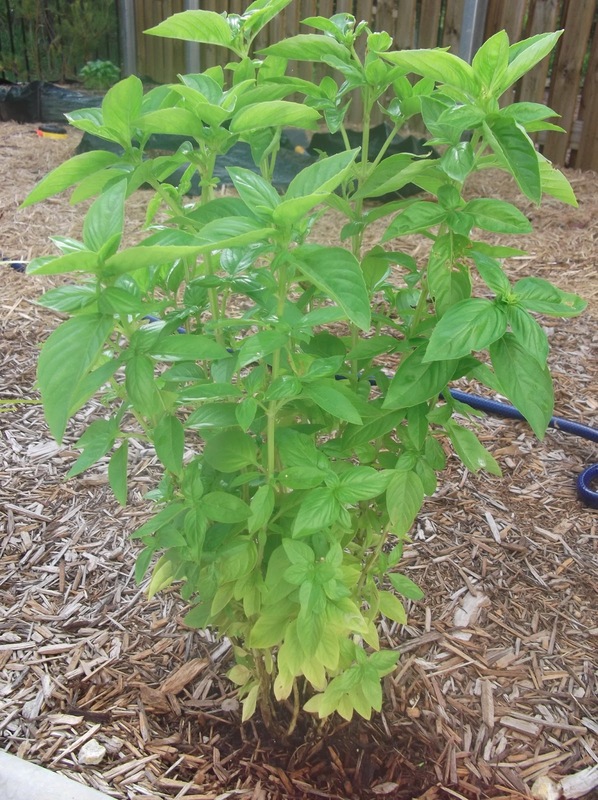 But since I've planted new basil in my vege garden I decided to strip this one back and then let it go to flower so I could harvest the seed. I read that seed from a plant used to your garden is good seed. Post harvesting it's looking a little bare. You can see my pile of leaves that weren't considered nice enough to keep. 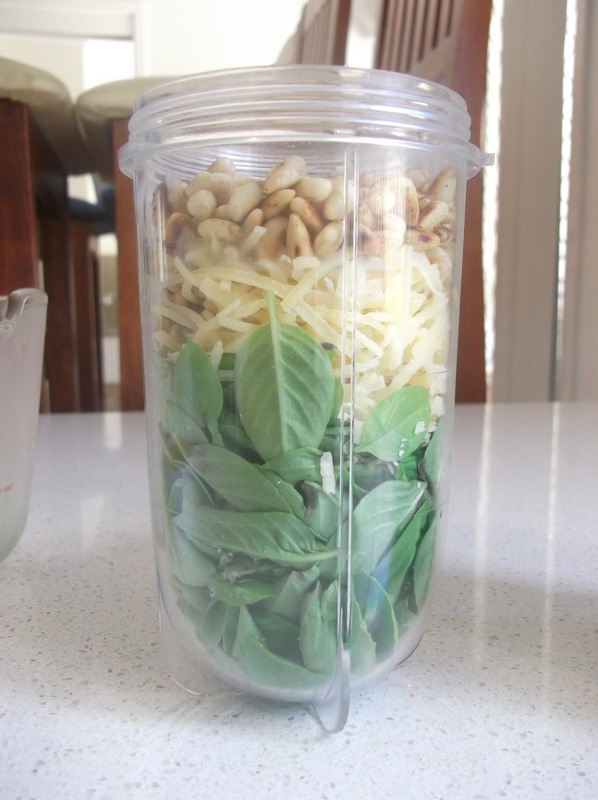 I got about 1.5 cups of leaves which is the perfect amount to make this delicious basil pesto. Traditionally you use olive oil for pesto but today I decided to use cold pressed extra virgin macadamia oil instead. 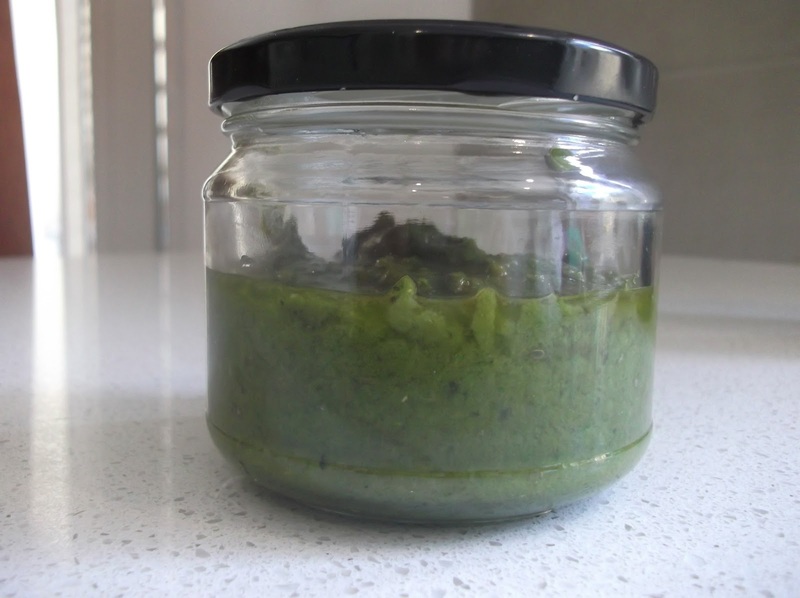 It gave a lovely nutty flavour and is definitely something to consider if you find olive oil too bitey! 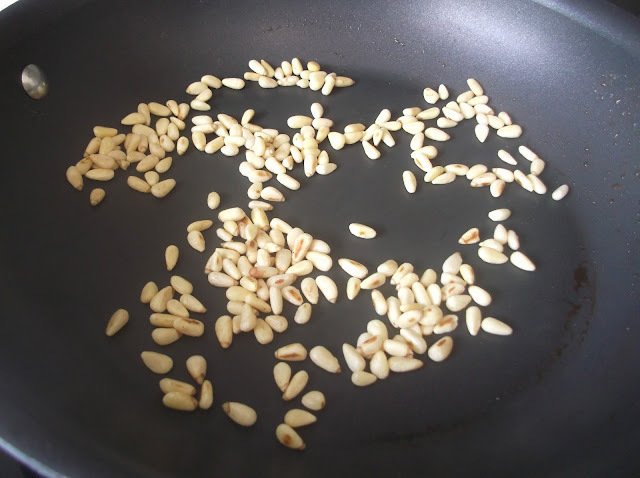 Quickly toast off your pine nuts in a pan. If the pan is really hot it will only take about 30 seconds. They burn really easily so be careful! But it really processes down! 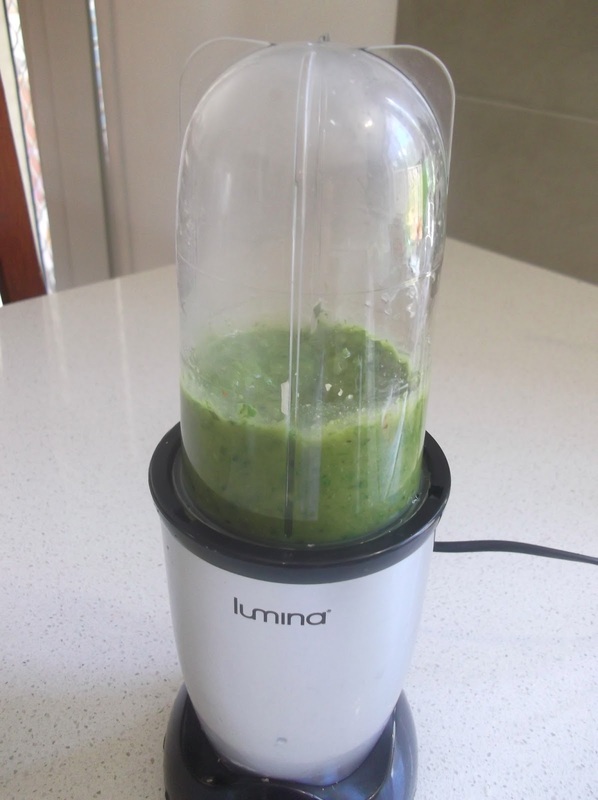 Put it in a sterile jar (my definition of sterile is I ran it through the dishwasher) and keep it in the fridge. I'm not sure how long it keeps for because ours is always gone long before it goes off! 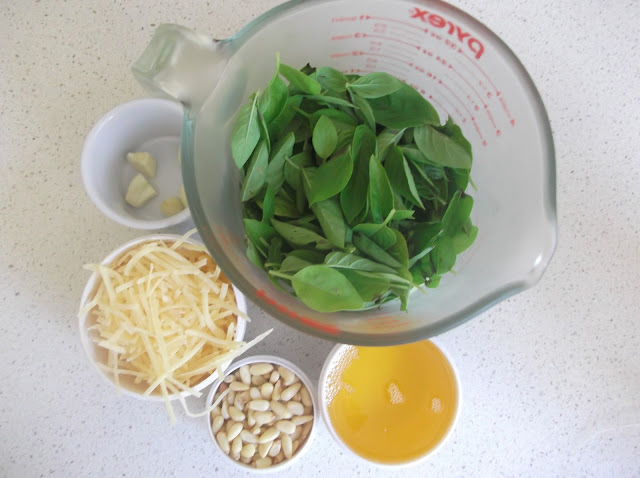 Ava doesn't like pesto but Em and I love it. 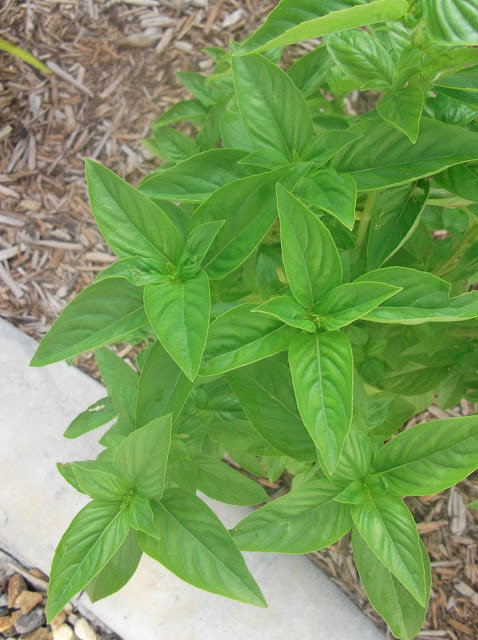 We use it on our meat, eggs and as a salad dressing. We also eat it off the spoon when no one is looking :o) This amount would last us about a week. Since I stripped my basil plant this morning I've read mixed things about whether flowers effect the flavour of basil leaves. I guess we'll see soon enough! I'd bring you some more but well, I don't think this jar will last even a week! Hi! I just wanted to stop by to let you know I nominated your blog for the Liebseter Award. You can get more details on my blog at http://lifeinprojects.blogspot.com/2013/02/liebster-award.html. It was passed along to me by another blogger so I hope you'll join in the fun!